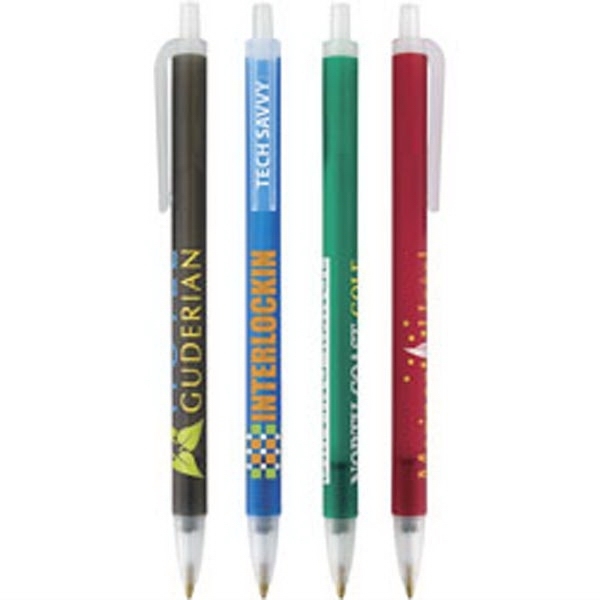 Success will never "freeze" up during your campaign when it includes the Contender frosted pen! 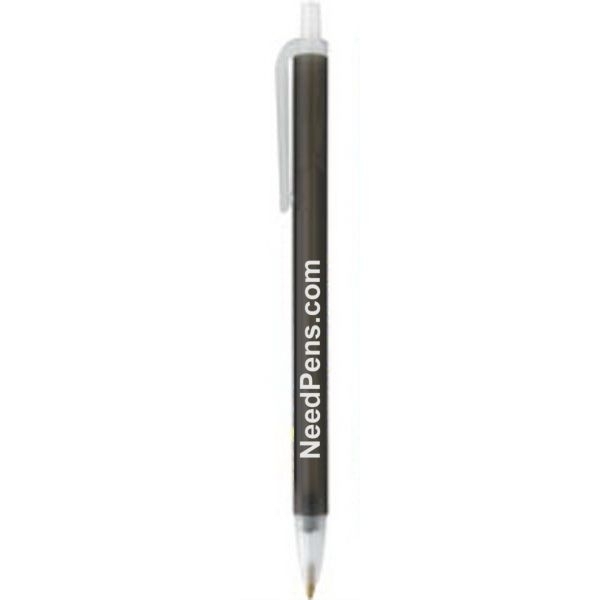 A tried and true winner in popular, frosted, corporate colors, this plunger-action, ballpoint pen with a clip has a medium point with black ink. Measuring 5 7/16" x 5/16" diameter, this giveaway is always a good value. 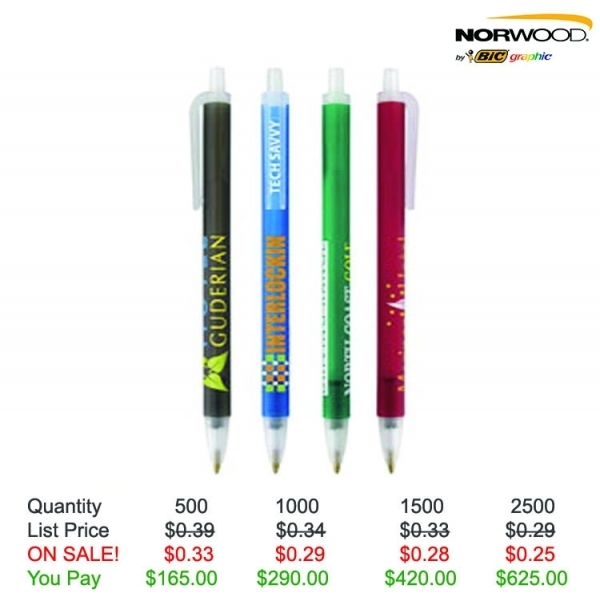 Perfect for tradeshows, business seminars or any promotional event, have your logo or message imprinted for maximum exposure. Shipping Weight: 7 lbs. 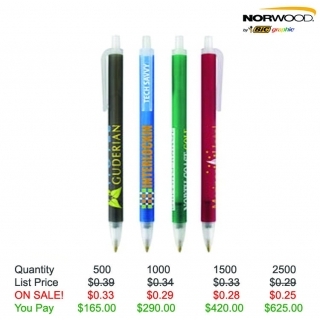 per 500 - FREE Shipping!